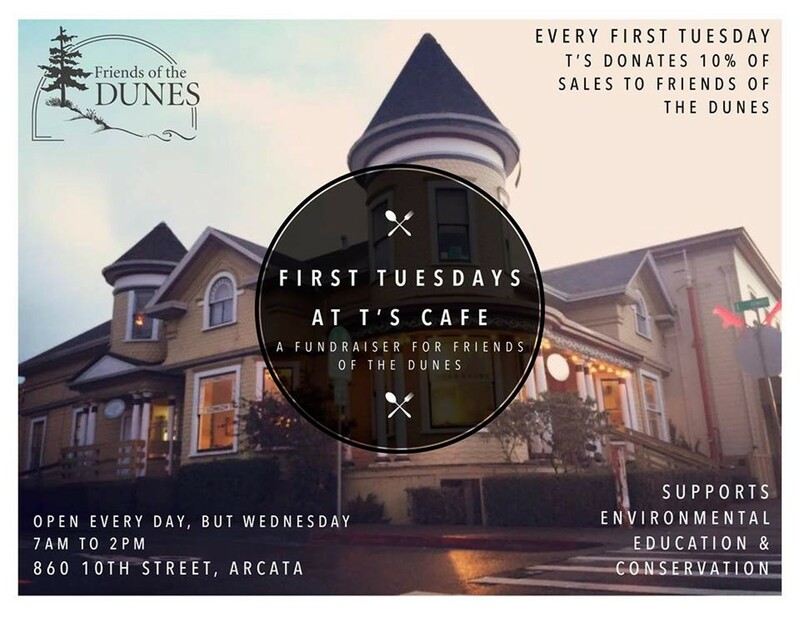 On the first Tuesday of each month, T's Cafe North generously gives back to their community by donating 10% of their sales to Friends of the Dunes. Friends of the Dunes is a local non-profit that provides free environmental education and promotes conservation of our coasts. A great spot for breakfast or lunch, T's Cafe is located on the corner of I and 10th Streets in Arcata and is open everyday, except Wednesdays, from 7 a.m. to 2 p.m. Stop by this for some great food and a great cause. For more information please contact T's Cafe.